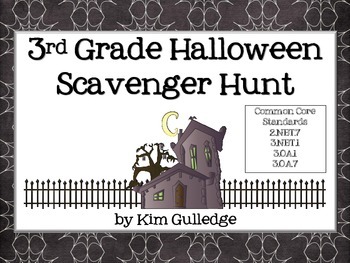 Use this mini math Halloween scavenger hunt to engage students in the area of addition, subtraction, rounding and multiplication. 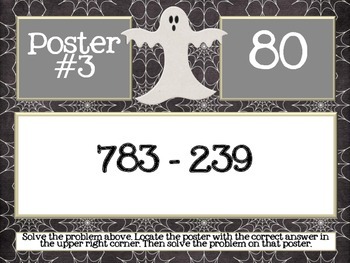 Laminate, cut out and post the posters around the room - walls or desks. I like to tape them up so the kids can use their clipboards. 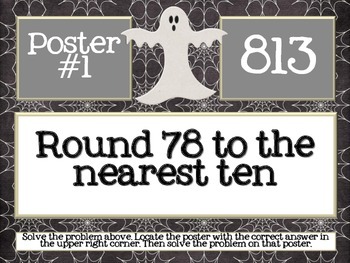 Students start at a random poster, work that problem, then look for the answer on a different poster. 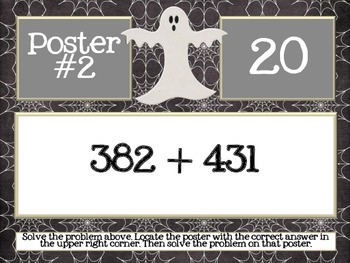 The students then solve that poster...so on and so forth until all posters are complete! If you like the activity, please leave feedback.